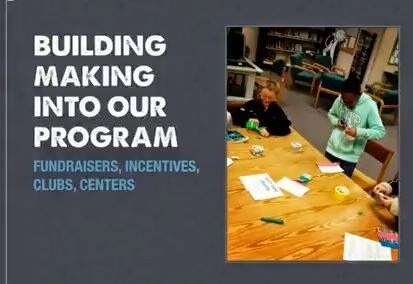 "An ISTE Librarian Network Webinar with Teacher-Librarian Diana Rendina at a STEM magnet school on "Transforming your library with a Makerspace". Learn how she did it in her library and how you can do it in yours. (Streamed live on 22 Oct 2014)"